Everything that Beyoncé does is a surprise — I think we should just stop trying to predict her next move and just let her keep on shocking and aweing her fans. Case in point? There are new rumors swirling around about a possible performance during Sunday night's BET Awards... leading many to wonder, is Beyonce performing at the 2016 BET Awards? Update: Beyonce gave a surprise performance at the BET Awards with Kendrick Lamar to open the show. Earlier: If she's not, she's certainly dropping many red herrings. 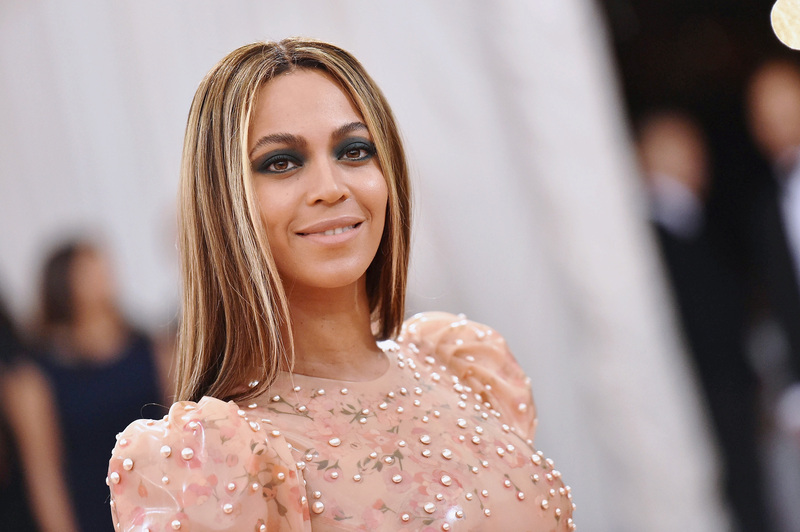 Rumors were swirling on the red carpet about Beyoncé's presence. When red carpet host Rocsi Diaz was interviewing Tia Mowry on the red carpet, Mowry mentioned something about being excited that Beyoncé was possibly performing... and Rocsi quickly threw the feed to one of her cohosts. Tia, did you just blow a big secret? Later, Diaz was interviewing Chloe x Halle, who are Beyoncé's new proteges, and Diaz tried to pump them for information about their performance at the 2016 BET Awards — would the Queen of Pop herself be joining them? Like good artists and employees, Chloe x Halle were not taking the bait. While they kept mum about it, Twitter was aflame with pictures of Beyoncé's back up dancers walking the red carpet at the 2016 BET Awards. Say what? OK, if this is just a drill, Beyoncé is really messing with us here! The rumors! The dancers! The Prince tribute that is just hurting for a Beyoncé solo rendition? Come on, BET — stop toying with us and announce that Beyoncé is performing! Everything the singer does is so calculated (in a good way) that all of this stuff can't be for naught. My guess right now is that Beyoncé will be jumping into either the Prince tribute or the Chloe x Halle performance. Personally, I think she should jump into both, but you can't have everything, you know?